Personality quizzes may help people identify their strengths when dealing with others. People often take personality quizzes to discover the dominant traits of their personality, such as independence or introversion. A personality quiz will ask a number of questions, each with multiple choice answers. Some personality quizzes determine whether a person is an introvert or an extrovert. A personality quiz is a basic tool used to identify an individual's dominant personality type. It is occasionally used by psychologists or career counselors to determine what types of work an individual might be successful in. In most cases, however, a personality quiz is just a personal tool that an individual can use to see what his or her most common personality traits are. One common example of this type of test is the "Type A" or "Type B" personality test, which divides people into one of two broad categories. There are literally hundreds of different personality quizzes available, however. 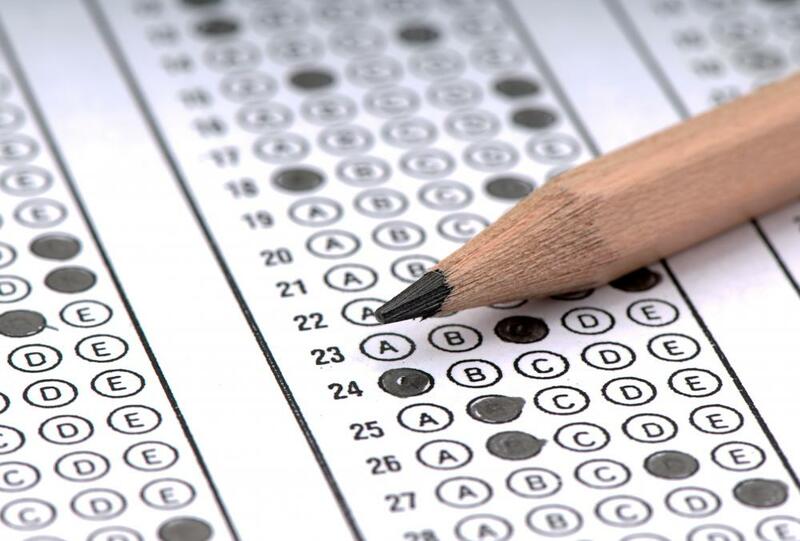 In general, a personality quiz will provide a number of questions, each with multiple choice answers. The answers will typically range from "strongly agree" to "strongly disagree," with a variety of responses in between. For instance, a question might state, "I prefer to be alone rather than in large groups of people," and the person taking the quiz will determine whether he or she strongly identifies with that statement or not. It is important to be as honest as possible when answering the questions on a personality quiz, in order to get the most accurate result. Each personality quiz may be measuring slightly different aspects of personality. Some may simply break participants into two broad groups; for instance, the well known "Type A" and "Type B" personality test does this, in which Type A people are more stressed and controlling, while Type B are more calm and relaxed. Other tests will have much more specific categories. Personality quizzes are generally attempting to determine whether a person is more reserved and introverted or more outgoing and extroverted, as well as the type of work he or she prefers to do, such as independently or in a group, or structured or creative. This is why a personality quiz is sometimes used in career counseling services. Determining that a person is more introverted, and prefers to work on creative projects independently, will help direct him or her to a very different career than a person who loves to work in teams, and prefers to be the center of attention. People taking a personality quiz independently might also be able to get an idea about which of their personality traits are the most dominant, and may even decide they want to try to make some changes in the way they react to certain situations. It is important not to take the tests too seriously, however; they are not the final word on anything. What Is the Eysenck Personality Questionnaire? What Is a Psychological Profile Test?